Message inside: Happy Birthday. Die-cut window reveals message inside. Letterpress card. Tan enve.. 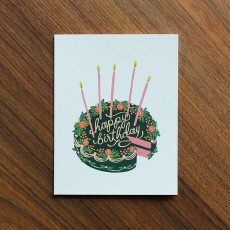 Delicious birthday card featuring ornate decorated cake. 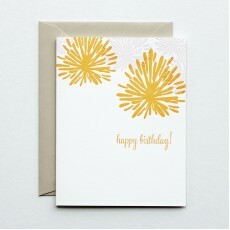 An adorable card and way to say 'Happy B.. 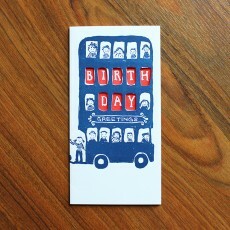 Text: Birthday cheer, die-cut window reveals message inside card. 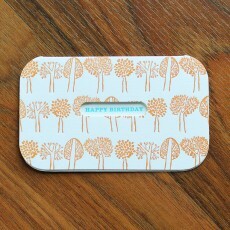 Letterpress card Wood..
Letterpressed birthday greeting card paired with light grey envelope. 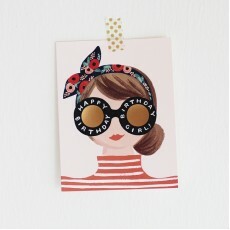 Linda & Harriett is..
Part of a new collaboration between Anna Bond of Rifle Paper Co. and Lauren Conrad of Paper .. 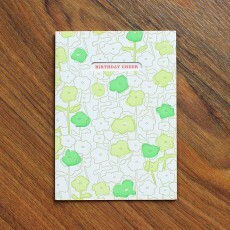 Format: 108×140mm Material: Natural White Cover Paper Process: Full-color + Foil Stamp ..
Birthday greetings, die-cut window reveals message inside. 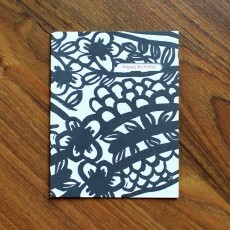 Letterpressed card. Tan envelope. 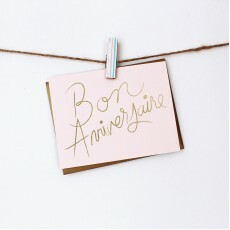 ..
Say 'Happy Birthday' the French way with this classy card featuring gold foiled hand-lettering on..
Letterpress card, bamboo paper, with patterned bamboo envelope. Smock Paper is an eco-friendl.. 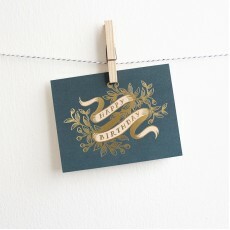 Text: happy birthday / die-cut window reveals message inside card. 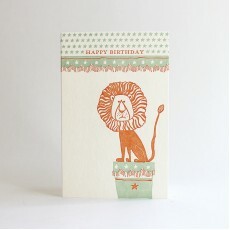 Letterpress card Kra.. 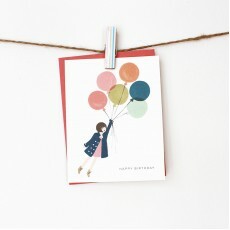 Fly away to a magical birthday! 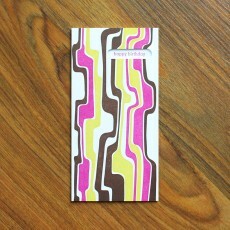 - Blank interior - Matching papaya colored envelopes - Pr..